If you are in the business of shipping goods across the USA or Canada using land transport, you are concerned about cost-effectiveness, timely delivery and the safety of your shipment. As there are multiple modes of moving your cargo, it’s important to know which mode to choose. Most common among these modes of transport are LTL (Less than Truck Load) and FTL (Full Truck Load). and the time frame for delivery. Below is a comparison of both LTL and FTL shipping which will help you make a decision most suitable for your shipping needs. Freightera marketplace connects shippers with hundreds of carriers serving over 3,000 businesses across North America, enabling them to save time and lower their shipping costs. Trucking companies use Freightera to fill their trucks and run profitable businesses. It’s a win-win solution for both: a more efficient, reliable and cost-effective way to ship freight using Full Truckload (FTL/TL) and Less Than Truckload (LTL) freight carriers serving US, Canada, US-Canada and Canada-US cross-border transportation markets. FREIGHTERA. A Better Way to Ship Freight. This article make me understand FTL and LTL better, thanks! Very insightful post. 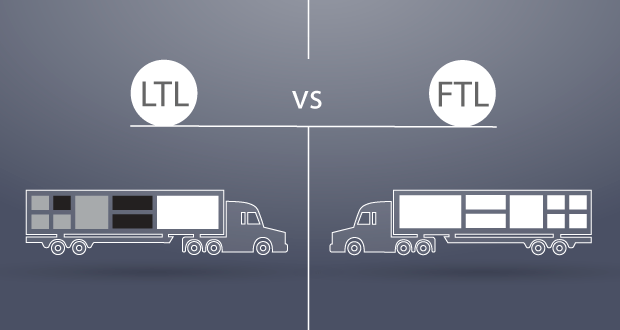 Excellent information on the comparison of LTL and FTL. Thank you for this blog!